Not sure how to get to the 606? We rounded up the trains and buses you can take to Chicago's elevated park along the Bloomingdale Trail. 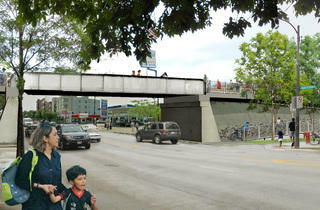 Some people are lucky enough to live within walking distance of the 606—Chicago's new elevated park. Everyone else will need to commute to the Bloomingdale Trail to enjoy the best bars in Logan Square before strolling along a tree-lined path to go shopping in Wicker Park. 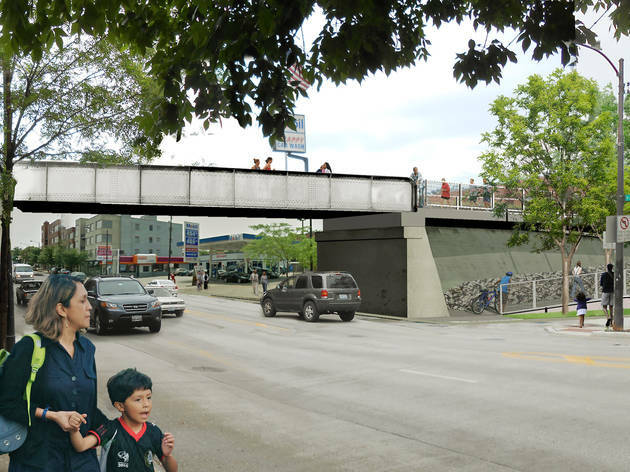 Need to know how to get to the 606? We've rounded up the CTA trains, buses, Metra stations and Divvy stations that will assist you on your journey to—and from—the park. The Western Blue Line station is the most convenient place to enter the 606 via train, located just to the north of an entry point at Western Avenue and Bloomingdale Avenue. The next closest stop is the Damen Blue Line station in Wicker Park, where you can walk north on Damen Avenue and enter the 606 at Churchill Park. There are several CTA bus lines that will drop you off within a block of one of the various entry points to the 606. These include: 9, 49, 50, 52, 56, 72, 73, 82. The Clybourn Metra station near Ashland Avenue and Cortland Street is just a few steps away from Walsh Park, the eastern end of the 606. Riders on the Union Pacific North and Union Pacific Northwest lines can access the trail from the Loop or the 'burbs—even folks from outlying Harvard and Kenosha can get dropped off in front of the 606. There are currently 17 Divvy stations located within a block of the 606, including one in Julia de Burgos Park, which serves as an entry point to the trail. Most of the stations can mainly be found paralled to the park along North Avenue and Armitage Avenue. We expect that some stations will be moved or added to the Ridgeway Trailhead and Walsh Park as more people begin using the trail.